That’s right, tablets for toddlers are a real issue parents need to consider. Children these days have much more stimuli than adults did 10 years ago when entertainment meant watching El Chavo on Telemundo. With the use of kids’ tablet technology, not only are we able to have a sensory correlation between actions but we can also increase our kids’ IQs with playful apps and games. But how much is too much? Let’s break it down. What is the reason your toddler is playing with a tablet? If you’re lending this incredible tool for education and entertainment purposes, then you mustn’t worry. However, if this is a ‘use it as much as they want it’ type of situation, then you need to set some ground rules. Over 15 minutes to 20 it’s simply too much. 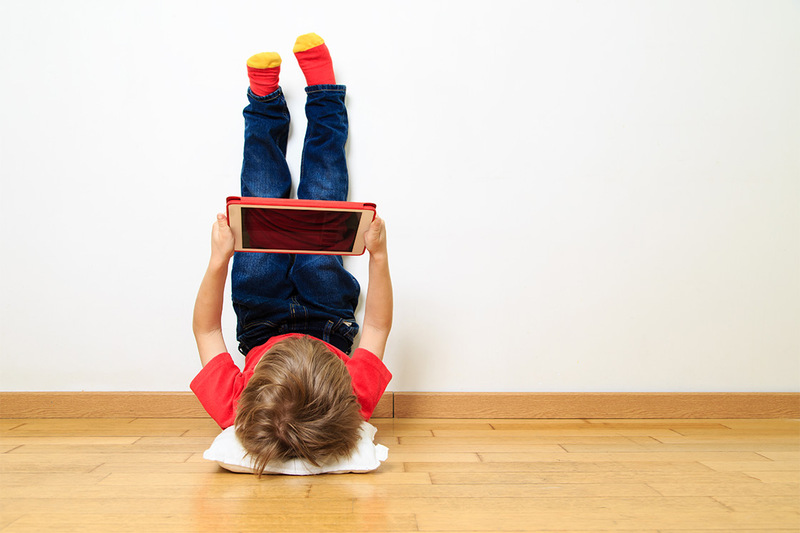 Timing is everything when it comes to tablets for toddlers. If you are feeding your child and allowing them to avoid interaction with the family, then you should postpone all fun and games until they finish. Don’t let them play with it late at night, right before bedtime as they need to slowly calm themselves in order to be able to fall asleep. Some preschoolers do better in the mornings, so allow them to play with it while you fix the house or clean up the rooms. If you see your child playing with app after app, then he is not focusing on completing tasks. As toddlers, the only thing they need to do in order to learn is finish goals. Find an app that speaks to your child and allows him to have fun while learning! What Are You: Tiger Mom Or Padded Parent?